Destigmatization was made in Vrapče Psychiatric Hospital in Zagreb in collaboration with a working group consisting of mentor Dubravka Stijačić, prof. (defectologist, social pedagogue and psychotherapist who has since 1996 run an independent unit in the Vrapče Psychiatric Hospital called the Resocialization Centre), Vlatka Prstačić (coordinator of creative workshops), Kuna Zlatica (designer) and persons diagnosed as having the chronic mental illness of schizophrenia who, after being discharged from Vrapče, have endured various forms of the stigmas attached to mental disturbances and their consequences. 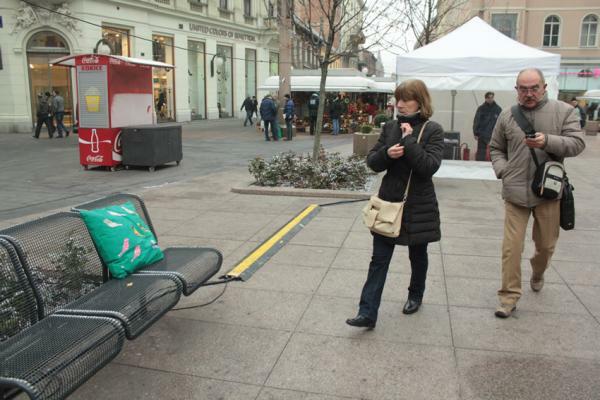 The “Vrapče Pillows” were made by patients with mental health problems in their endeavour to open up a dialogue about the problem of the stereotypes that became attached to them because of their conditions. 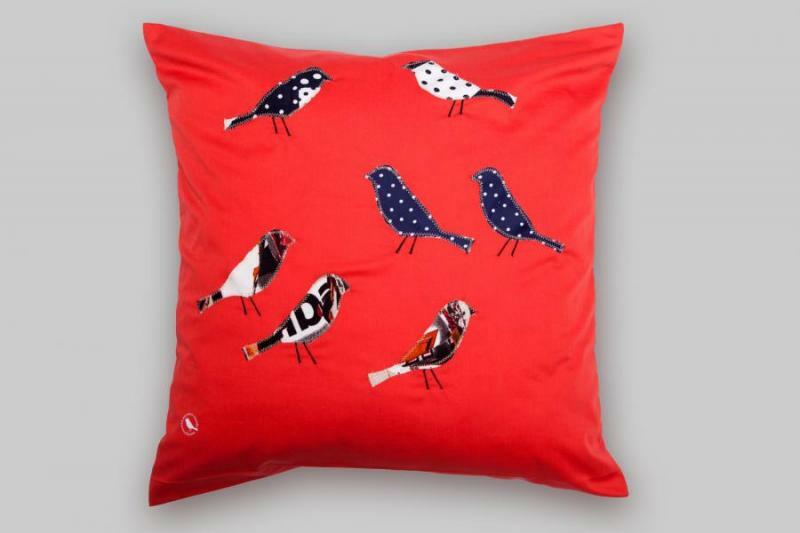 The pillows with sparrows (sparrow in Croatian is “vrabac”, which is also the name of the city part where the hospital is located) were concrete and symbolic objects in which associations of the warmth and safety of home were brought together with their repugnance at the hospital ward. The strategy was to promote the pillows through a media campaign as a public speech about the taboo theme of the psychiatric hospital, patients, and mental illnesses. The wish here is to find ways in which persons with mental illnesses can themselves talk of the problems, possible solutions, the mistakes that society at a conscious or unconscious level makes with respect to them and to give them tools so that they themselves can find and create spaces in society for their own active inclusion. A large number of people got involved, carrying pillows with them to the places they moved, and putting photographs with pillows on the Facebook page of the project. They would send the pillow to a member of their family, a friend, neighbour or back to the hospital for the next interested person to take it with them. It raises the level of public awareness, provoking modifications in the perception of persons with mental illnesses, that is, in understanding that the phenomenon of mental sickness is not something distinct from society, that people with social disturbances are a part of society and that they need to be given the chances to become themselves agents in the process of de-stigmatisation.